I believe the Constitutional Sheriffs and Peace Officers Association to be the most realistic hope we have for reigning in an out-of-control federal government. 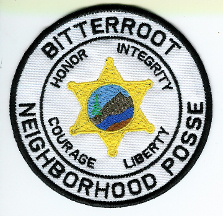 Many law enforcement officers, law enforcement executives, sheriffs, judges and other professionals in the field agree… so wholeheartedly as to dedicate a significant portion of their lives to this project. 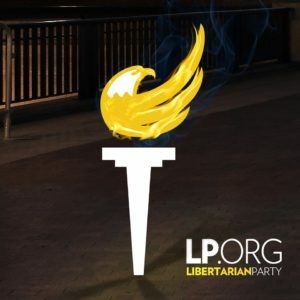 If you value liberty, go to CSPOA.org and I think you will discover the same truths we have. I selected the following overview paragraphs from the CSPOA statement of purpose page written by Sheriff Richard Mack. Click on the links above to read the whole essay, and look around for much, much more. Now, today, our country is dying and all the experts say we’re on the right track or if we are not, that there’s nothing we can do about it. I disagree; there is something we can do! Our “leaders” continually urge us to stay on the Titanic and they count on our ignorance and apathy to keep us on board. The questions are: 1) Can we save America? And 2) Will enough people get involved and dedicate themselves to make this dream a reality? The answers lie within our grasp and come from the foundation of our country. The principles are embodied within the Declaration of Independence and outlined in the Constitution. Yes, America is in deep, deep trouble. The good news is that there is hope and my victory at the U S Supreme Court proves that it only takes a few to stand to make monumental changes. We do not have to stand by and watch while America is destroyed from within. If our counties, cities, and states and all local officers keep their oaths to protect us from tyranny, we can win this battle to take our country back. This is our plan, our goal and our quest. We are forming the Constitutional Peace Officers Association which will unite all public servants and sheriffs, to keep their word to uphold, defend, protect, preserve, and obey the Constitutions of the United States of America. We already have hundreds of police, sheriffs, and other officials who have expressed a desire to be a part of this Holy Cause of Liberty. We are going to train and vet them all, state by state, to understand and enforce the constitutionally protected Rights of the people they serve, with an emphasis on State Sovereignty and local autonomy. Then these local governments will issue our new Declaration to the Federal Government regarding the abuses that we will no longer tolerate or accept. Said declaration will be enforced by our Constitutional Sheriffs and Peace Officers. In short, the CSPOA will be the army to set our nation free. This will guarantee this movement remains both peaceful and effective. We can win this battle to take our country back. This is our plan, our goal and our quest.